The movies of 2012 brought with them an avalanche of memorable characters, whose exploits stuck in our minds for a range of reasons. Some made us laugh, some made us cringe, some made us quiver and some just made us want to stand up and applaud. For my second Vagrant Rant Best of 2012 list, I present my top ten favourite movie characters of the year. The characters on this list need not be brand new creations; fresh interpretations of other material, recurring players in a series and even depictions of real-life people were all fair game when I was putting it together. Regardless of what other people may have been saying about them, I have not included any characters from movies I did not see in 2012. So, sadly, those amazing Boxing Day Australian releases (The Hobbit, Wreck-It Ralph, Les Miserables) are out of the picture. The Descendants, released at the very beginning of 2012 here in Australia, is a truly heartfelt triumph on many levels, but its many facets would not come together quite so effectively without the comic relief provided by the female lead’s dimwitted boyfriend, Sid. Nick Krause’s performance lends the role just the right combination of idiocy and believability, with a hint of something poignant thrown in. This ensures that, despite the film’s many character interaction highlights, you just aren’t likely to forget his exchange with those two seniors. Not at all. The two leads of 21 Jump Street, played by Jonah Hill and Channing Tatum, share plenty of genuinely hilarious moments onscreen. But Tatum’s character, Jenko, arguably stands out a little more than Hill’s Schmidt because Tatum’s film history is hardly laced with comedies, and yet he takes to the comic skin like he was born to wear it. The script’s positioning of Jenko as the “cool nerd” certainly doesn’t hurt his likeability. 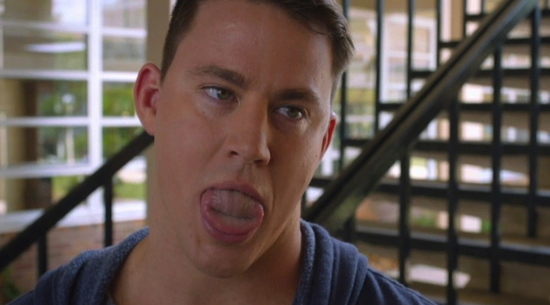 If you haven’t seen 21 Jump Street yet, especially if you steered clear because Tatum was in it, I advise you to reconsider your stance. 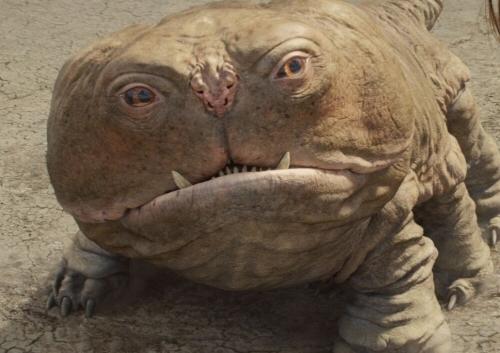 In the surprisingly decent, if financially disastrous, sci-fi adventure movie John Carter, it isn’t any human character that necessarily stays with you after the credits roll; rather, it is an alien creature that looks and behaves not unlike a domestic dog. Woola is a six-legged Martian creature so fast that he moves in an invisible blur and so cute that he steals nearly every scene in which he appears. He’s not there just for show, either: his unique attributes come in handy during a climactic scene near the end of the movie. Before the release of The Dark Knight Rises, the hype over Christopher Nolan’s interpretation of Catwoman was overshadowed by that devoted to other aspects of the film’s production, narrative and character suite. 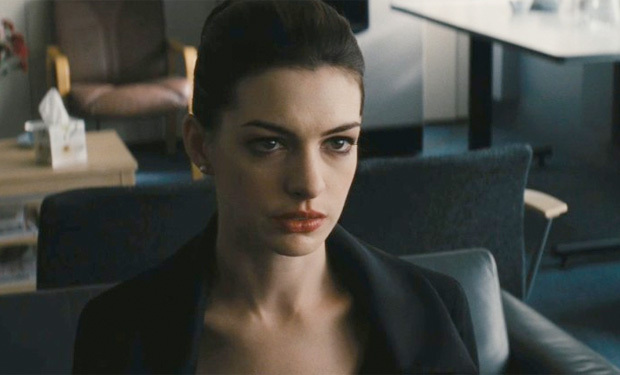 However, Anne Hathaway surprised many pundits with her double-sided take on the famously ambiguous DC Comics character. The rapidity with which Hathaway changes everything about her performance as Selina Kyle flicks between vulnerability and viciousness, between fear and flirting, caught audiences off guard and left them pleasantly surprised (even if the character largely disappears for the film’s entire second act). The sci-fi movie series that Prometheus fits into, however loosely, is punctuated with memorable android characters. The pseudo-humans of Alien and Aliens are memorable for different, and indeed opposing, reasons. Michael Fassbender’s brilliant performance as David combines the best of each prior turn, showcasing equal parts artificial benevolence and ambivalent villainy. The script’s subtle hints at David’s slightly-off programming are delivered with absolute commitment by Fassbender, who ensures David outshines all the human characters in Prometheus. There simply wasn’t a 2012 screen villain with more terrifying physical prowess than The Raid‘s Mad Dog. Diminutive and wearing nothing but a drab set of Indonesian knock-offs, Mad Dog inspires as much dread as any more elaborately dressed bad guy ever has, his single-minded eyes betraying a fierce animalistic killing instinct. Virtually dialogue-less, his twisted moral code of preferring hand-to-hand combat leads to a brutal beatdown scene that is hard to watch, followed closely by a 2-on-1 showdown every bit as epic as the climactic final lightsaber battle of Star Wars Episode I. 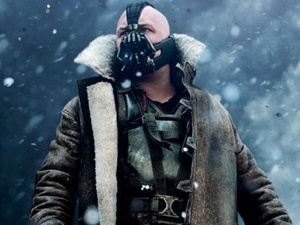 It was always a tall order to step into the shoes of Heath Ledger’s outstanding portrayal of The Joker in The Dark Knight, and while matching said performance with a less iconic Batman villain was arguably impossible, Tom Hardy’s unique performance as Bane is nonetheless a power-packed success. Everything about Hardy’s version of the muscle-bound villain makes him stand out, from the way he swaggers when he walks to that inexplicable vocal modulation. The mask covering most of Hardy’s face forces him to act with only his eyes and body language; the results are mesmerising. 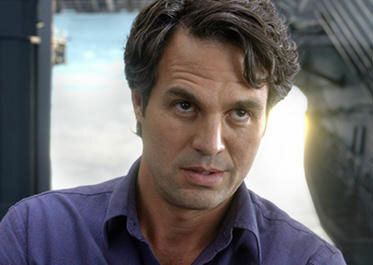 Few would have guessed how popular Mark Ruffalo’s version of The Hulk in The Avengers would be with critics and regular audiences alike. In a film where Robert Downey Junior plays Iron Man and where every single character gets some truly memorable lines, it is indeed the green monster who steals the show, thanks to some loving screenplay treatment by Joss Whedon and an understated turn from Ruffalo himself as Banner the timid scientist. Though it is admittedly not saying much to suggest this, The Avengers is the best Hulk movie ever made. There are few things more scary than a film that shows you a version of what could easily be you in an unfamiliar scenario and makes you dislike what you see. Chronicle postulates a scenario where being granted superpowers comes with more realistic consequences than what is normally show on celluloid. It utilises three characters to illustrate three different attitudes to such powers and Andrew represents the most unsettling of the three, reflecting the part inside of all of us that wants to abuse the power for selfish gain and revenge on those who have wronged us. Dane DeHaan’s creepy seriousness sells the character completely. I always figured there might be a villain drawing comparisons to Heath Ledger’s Joker in 2012, but I never expected said villain to come from a James Bond film. Multi-talented actor Javier Bardem introduces Raoul Silva to Skyfall‘s audience with a superb fixed camera monologue midway through the film and he captivates them without letting up thereafter. Silva’s simmering hatred bubbles beneath a suave lid, juxtaposing well-mannered rhetoric with discomforting facial contortions, the most memorable of which leads to Skyfall‘s now-famous denture scene. The fact that people talk about that scene first when discussing the latest Bond film is a testament to the incredible strength of Bardem’s performance. Silva is the greatest Bond villain of all time and my favourite film character of 2012. I definitely agree with your top three, and the honourable mention of M (Skyfall). Though it pains me not to see either Jack Knife or Silver Lion (Man with the Iron Fists) up there. Didn’t get to see the movie as of yet 😦 It wasn’t showing in either of my local cinemas of choice, unfortunately.